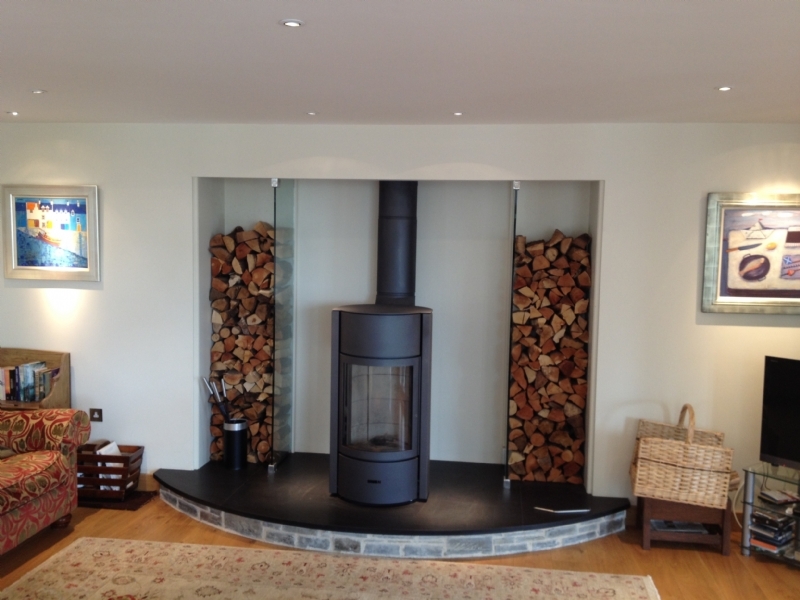 Stuv 30 in a bespoke fireplace wood burning stove installation from Kernow Fires. Customer Aspirations: A Statement fire with the capacity to heat this large room. 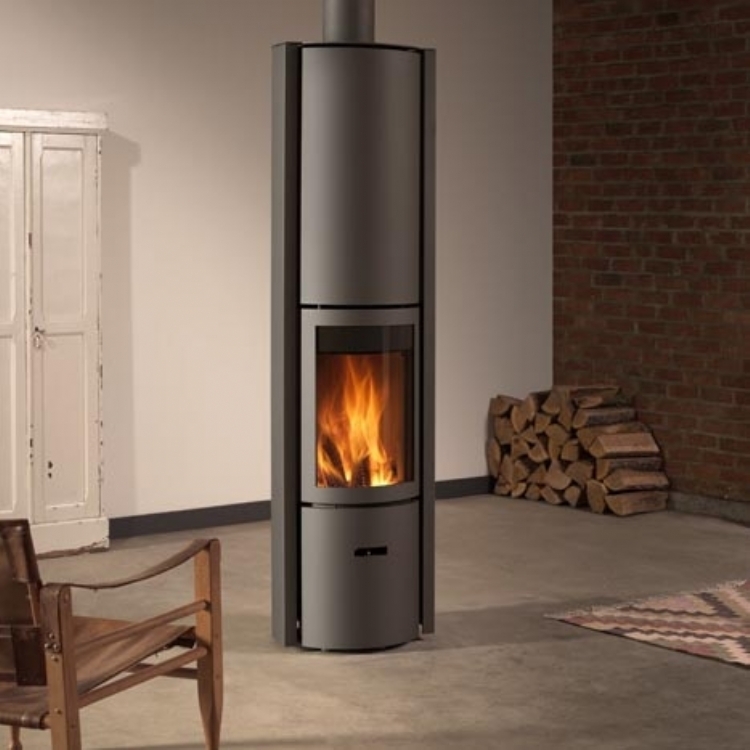 The Stuv 30 is one of our most popular freestanding stoves with a large output and the rotating door which allows you to have a closed door, open fire and the ability to lose down the fire. 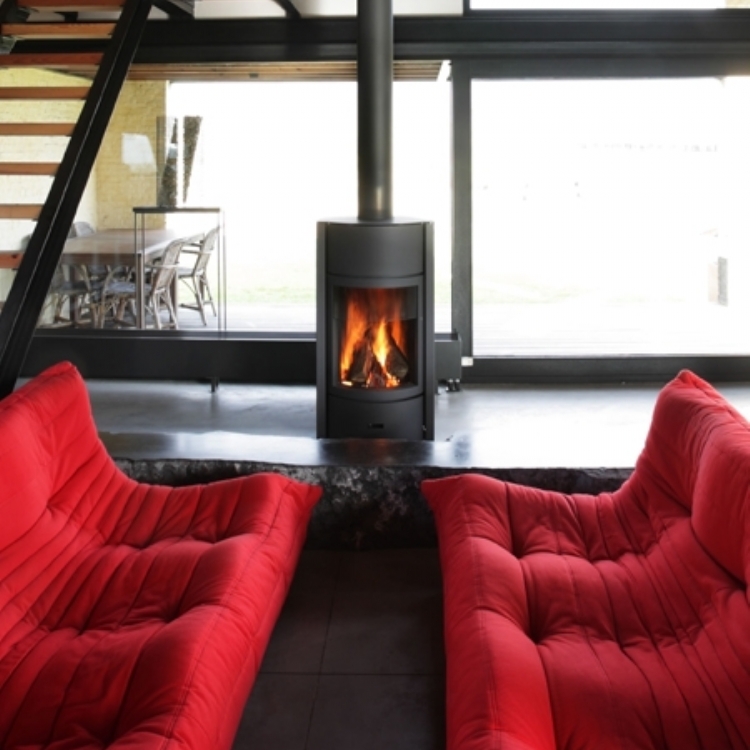 The bespoke hearth is huge and complements the stove. 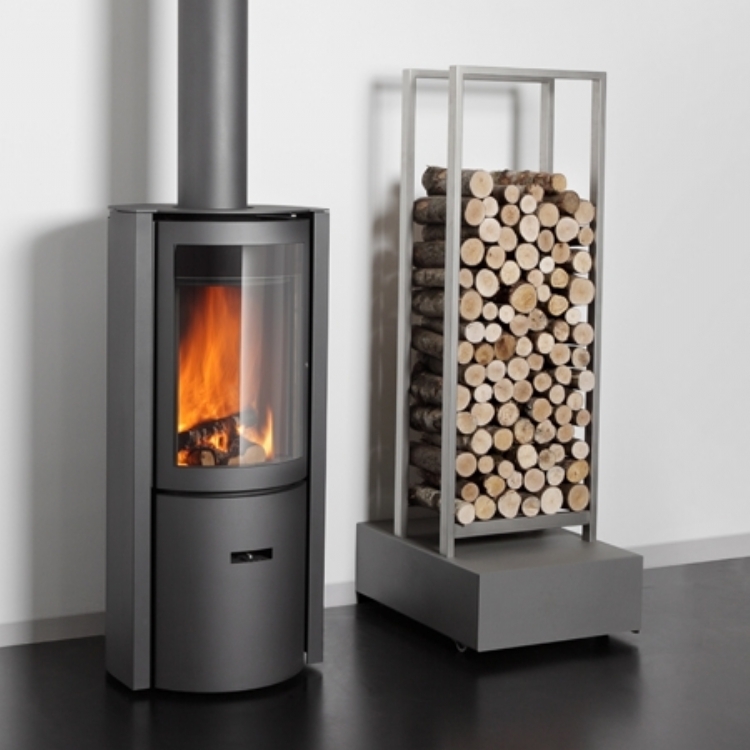 The strengthened glass acting as log storage is an elegant addition to the fireplace.